On 23 October, South Korean President Moon Jae-in ratified the inter-Korean summit agreement in the military sphere aimed at implementing the Pyongyang and Panmunjom Declarations. The documents were ratified without an approval from the National Assembly, since it, in the view of the presidential administration, is required when agreements contain clauses related to large expenditures or the need for legislative measures, and the Pyongyang Declaration has no terms of this nature. South Korea’s ruling Democratic Party (DP) said they were forced to act, because the National Assembly is yet to ratify the Panmunjom Declaration, adopted at the first inter-Korean Summit of this year. However, the opposition expressed criticism of the President’s actions, as he had ratified documents without first seeking approval from the National Assembly. As Moon Jae-in himself stated, approving the initiative will not only ensure national security but will also contribute to economic development by removing existing threats on the Korean Peninsula, create favorable living conditions for the residents of border regions and protect the rights of North Korean citizens. In the meantime, this agreement, previously analyzed and highly rated by the author, is already being executed. As you may remember, it provides for cessation of hostilities between the two sides, eradication of the risk of war and creation of a 10-km buffer zone along the land border, with no field training exercises or gun fire permitted in it. Similar buffer zones (80 km in width) are being established in the East and Yellow Seas in order to prevent any clashes between naval forces. Above the demilitarized area, no-fly zones have been created: the use of air drones, helicopters or other aircraft is not permitted in this air space. Demilitarization of the Joint Security Area (JSA) On 6 October, the Truce Village of Panmunjom hosted negotiations between military representatives of North and South Koreas, and of the United Nations Command. The two sides learned about the progress being made in clearing the zone of all landmines, which began on 1 October. They also exchanged views on issues related to removing checkpoints, downsizing military personnel, clearing the zone of weapons, reviewing terms and conditions for the use of video surveillance equipment and other work. On 8 October, representatives of the government, of the presidential administration and of the ruling party held a meeting, where they decided to establish a deputy minister-level body, affiliated with the Ministries of National Defense and of Unification, to handle issues of executing agreements on cessation of all hostilities between the two sides and on demilitarizing the joint security area. As of now, South Koreans have almost finished clearing their side of the JSA of landmines. By 25 October, both sides had completed their work on demilitarizing the entire JSA by removing nine checkpoints from it. Demilitarization of DMZ By 11 November, South and North Koreas had finished a test run to remove 22 guard posts (eleven from each side), withdraw military personnel, and clear weapons from the demilitarized zone at their border. By the end of the month all other structures are to be dismantled. The North and the South will be conducting mutual inspections to monitor work progress in December. Afterwards, the South Korean side expects to discuss a plan to keep a few guard posts for peaceful purposes with the North. At present, the demilitarized zone is home to 60 South Korean and 160 North Korean guard posts. Joint search for casualties South Korea’s Ministry of National Defense is reviewing the suitability of 5 places in the demilitarized zone for conducting a joint search for remains of military personnel. The remains of 64 South Korean servicemen, found during the joint search efforts by the US and North Korea, are already being repatriated to South Korea. Recognizing authority of United Nations Command On 16 October, Panmunjom hosted 3-hour negotiations, between military representatives of South and North Koreas, and of the United Nations Command, on the issue of demilitarizing the joint security area. The following is a summary of the issue at hand. During the Korean War, the United Nations peacemaking troops were brought in to the Korean Peninsula. Later on, the Republic of Korea-US Combined Forces Command was established, and it inherited the decision making right to initiate military action by the Republic of Korea Army. Afterwards, the United Nations Command started handling issues for the most part connected to managing the demilitarized zone. It is worth noting that the U.S. military commander, in charge of the U.S. Forces Korea (USFK), is also the head of the United Nations Command on the Korean Peninsula. And we would like to remind our readers that the new USFK military commander, in his speech at US Senate hearings, stated that, irrespective of the agreements reached in Pyongyang, control over the demilitarized zone would remain in US hands, thus signaling that Washington may choose to ignore the inter-Korean summit agreements. We could, therefore, say that the United Nations Command represents US interests, and has the power to hamper closer ties between North and South Koreas. Consequently, in August of this year, the UN Command used this right and forbade South Korea from inspecting rail routes between the South and the North as per the agreements reached at the inter-Korean summit held in April of this year. The United Nations Command agreed that, from November of this year, US military helicopters will have to inform DPRK beforehand about any scheduled flights near the Truce Village of Panmunjom. The issue is that the US military base Camp Bonifas is located 2.4 km from the demarcation line in the Joint Security Area (JSA). But as highlighted by South Korea’s Ministry of National Defense on October 22, no one voiced their dissent against the new rules during the negotiations between representatives of South and North Koreas, and of the United Nations Command. Other negotiations and criticism in parliament On 26 October, the 10th round of inter-Korean general-level military talks were held in the Truce Village of Panmunjom. This was the first dialogue between military representatives of this level from both sides since the Pyongyang Declaration had been adopted on 19 September. The two sides, for one, expressed their readiness to seamlessly execute agreements on stopping all hostilities between North and South Koreas on land, at sea and in the air from 1 November. And although the extent of mutual concessions is apparent, conservatives in the South Korean parliament continue to accuse the ruling government of lowering their nation’s defense capabilities. The conservatives are especially critical of the idea behind the “peace zone” in the Yellow Sea, which, in their view, offsets the role of the so-called Northern Limit Line (NLL), a disputed maritime border established by the United Nations Command without prior agreement with North Korea. 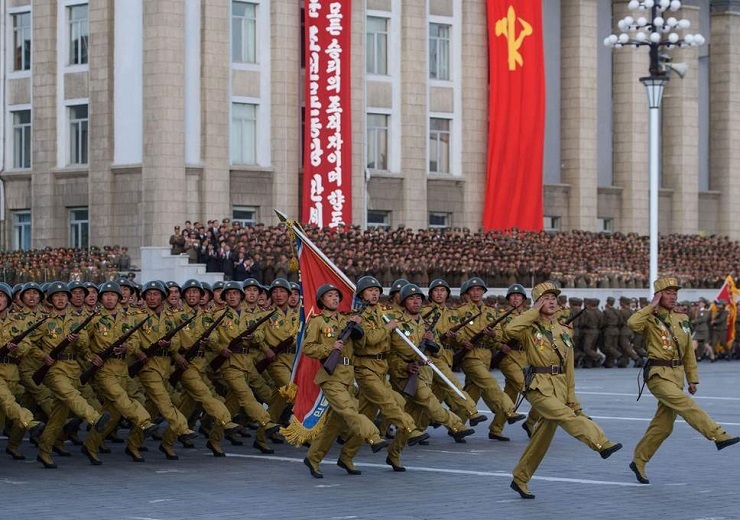 As a result, DPRK decided on its own version of the border, which has caused armed clashes in the area. Joint use of sea routes On 5 November, representatives of South and North Koreas began a joint examination of the 70-km sea route running along the western section of the inter-Korean border, with the aim of using it for business purposes in the future. Hence, in comparison with other aspects of inter-Korean cooperation, joint efforts of the North and the South to ease border tensions have been more successful thus far.